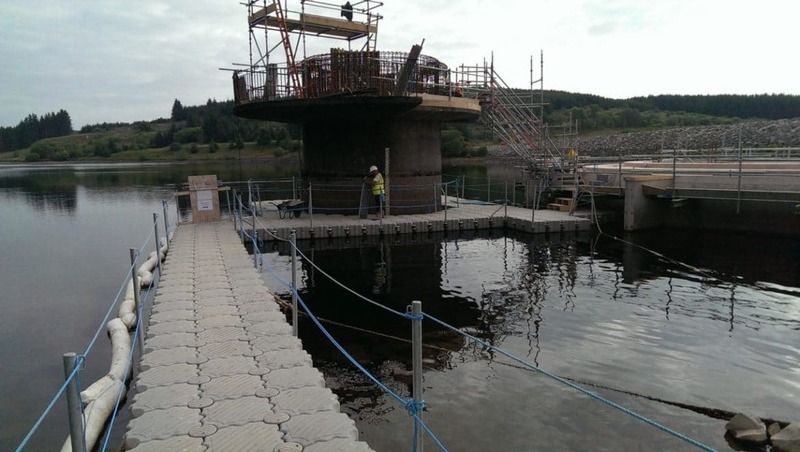 Our HDPE Modular Pontoon system provide the most adaptable work pontoon platforms for safe working on inland or coastal waterways. They can be assembled in large pre-built sections or individual components where access and egress are a problem. 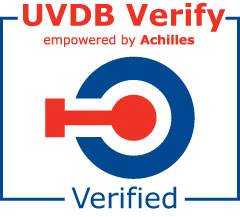 They can be rapidly installed, dismantled and modified on-site to suit changing project needs. 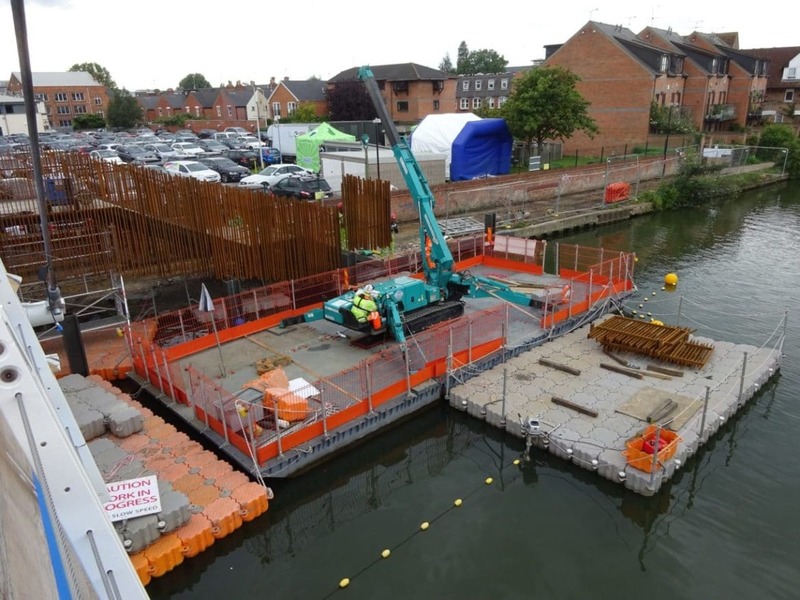 Work on Water Ltd provides one of the most comprehensive pontoon hire services to enable clients to access safely, effectively and efficiently over water. 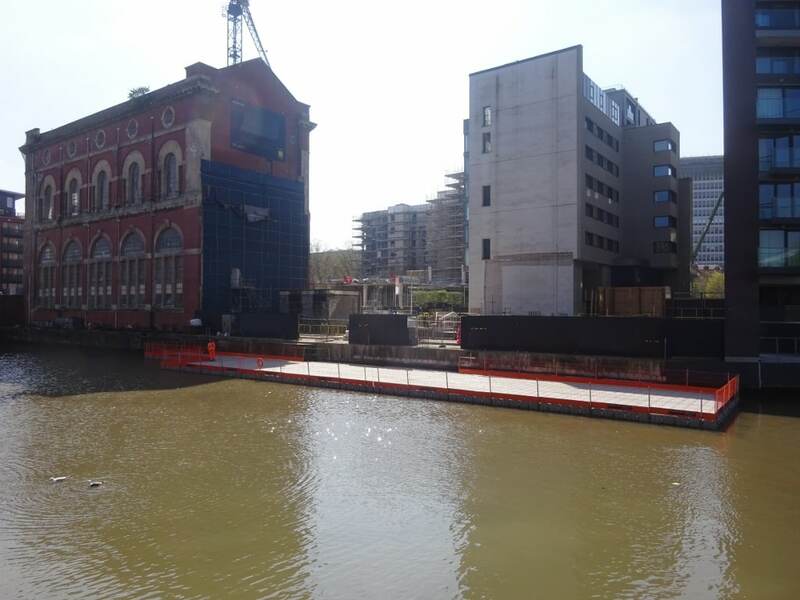 For more than ten years we have been providing a market leading service for many client’s pontoon works for large scale civil construction and maintenance projects or small short term requirements just to carry out an inspection requirement. 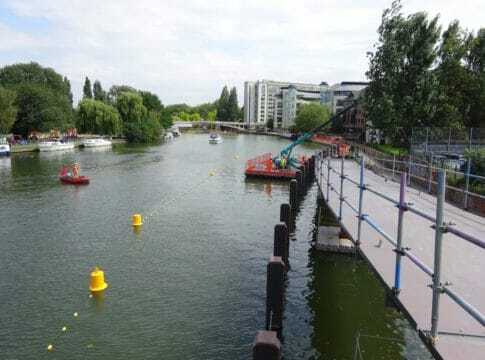 We also supply several large event organisations where our innovative equipment provides safe access for thousands of people to cross safely between two locations over a waterway. 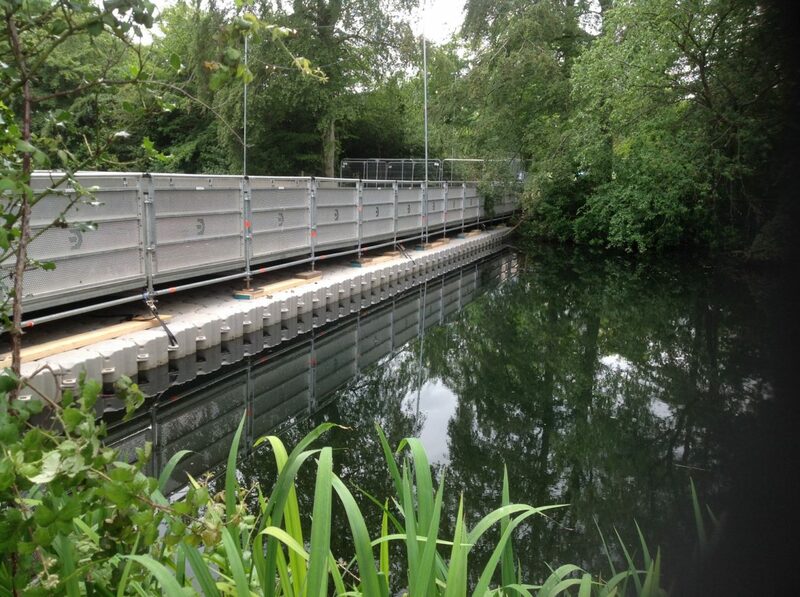 For heavier plant works our Non-Slip Flat Decked Modular Steel Pontoon can be assembled to many configurations to suit client requirements. 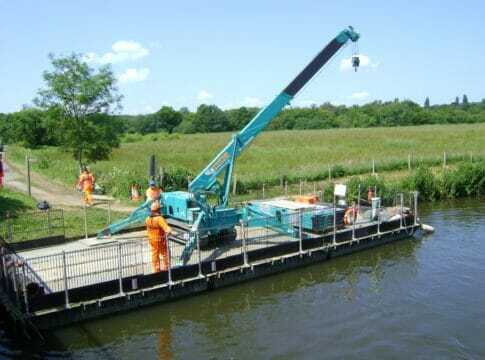 Road transportable the units can be craned on to small shallow watercourses that other heavier steel systems cannot. We have a variety of Safety/Rescue and Work boats to suit all sizes of waterway and requirement, from small river inspection boats to large open water rescue Fast-Ribs. 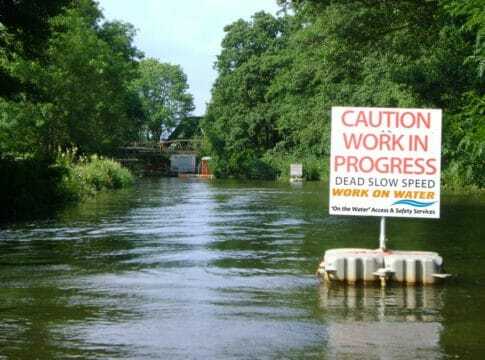 At Work on Water safety is one of our main concerns. Not only the safety of our staff, but also of the contractors working beside us and for the public. 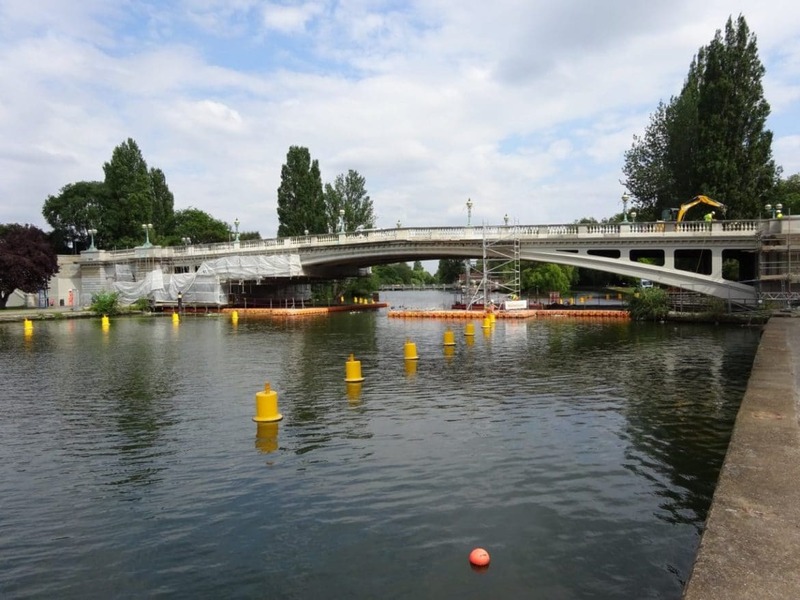 Our Demarcation System can be specified to any job size from small marker lines to large waterway navigation channels. 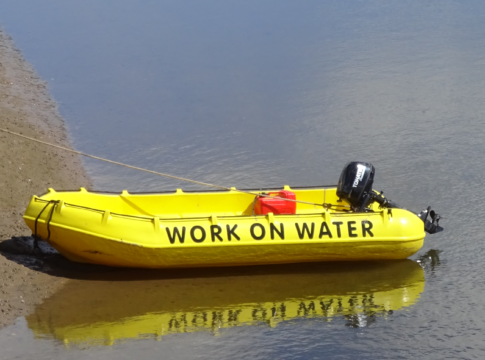 Work on Water Ltd provides the most comprehensive innovative equipment and services to enable clients to work on and around water safely, efficiently and effectively for a wide range of civil engineering construction & maintenance projects and leisure events. 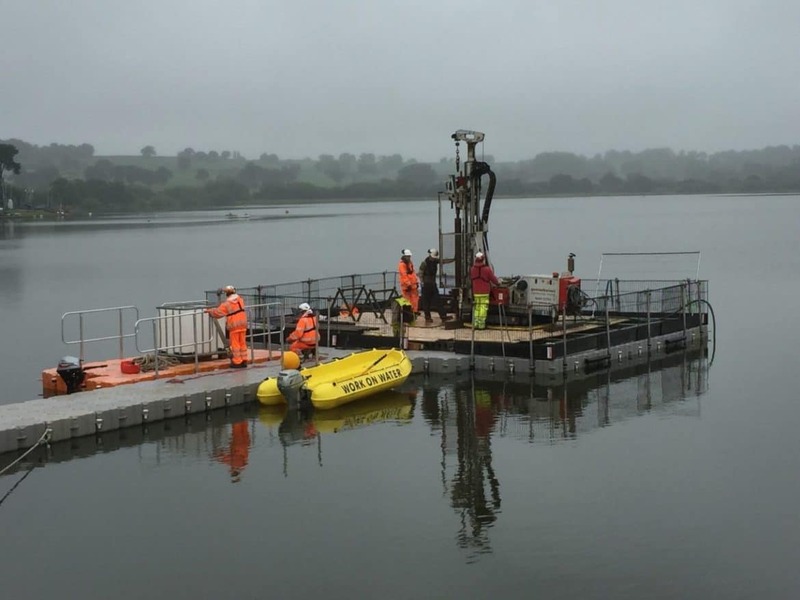 Not only innovative equipment for working around water our team has built up over the last 10 years a wealth of expertise in providing turnkey solutions to enable their requirements to be met. 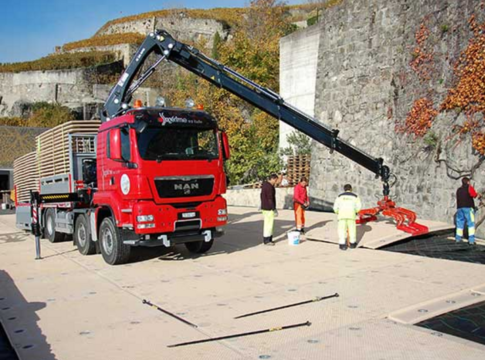 Our primary piece of equipment has been our HDPE Modular pontoons, as the exclusive UK distributor and pontoon hire of the Magic Float pontoon system we have since our inception over 10 years ago grown to hold one of the largest stocks of modular pontoons. 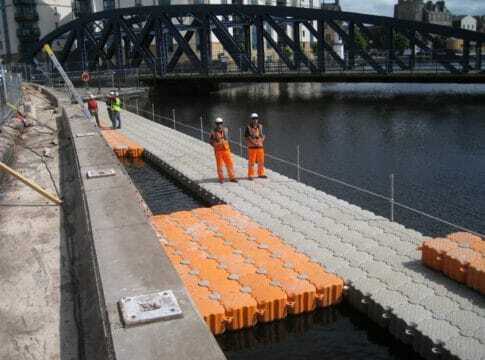 Along with our pontoon hire service we also sell this design leading Magic Float modular pontoon system. 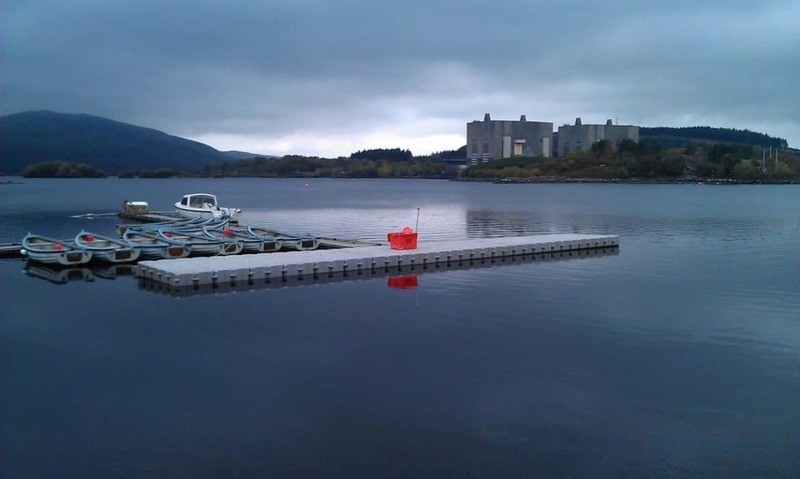 Our steel modular pontoons are very similar to mexeflote uniflote or nato pontoons, being of a smaller modular pontoon design they suit deployment where challenging access or egress issues may be encountered. With a low draft they are also ideally suited to shallow waterways.